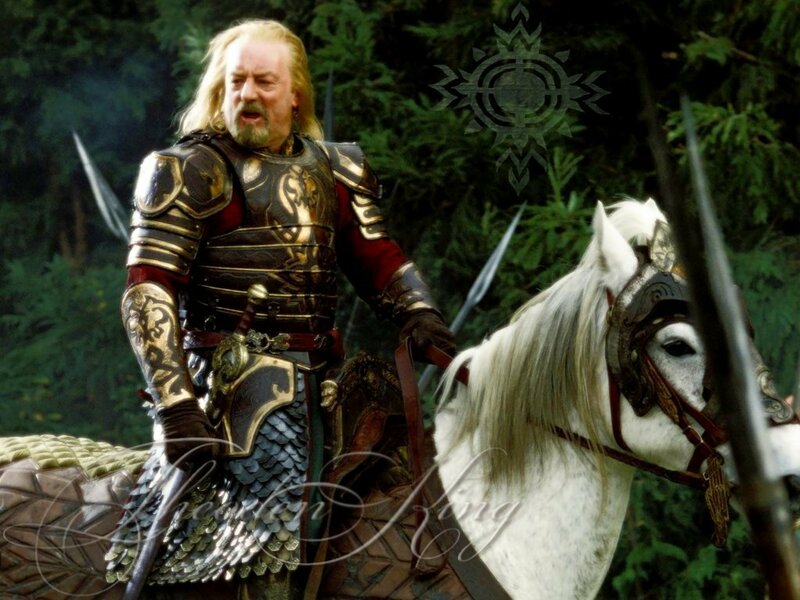 Theoden. . HD Wallpaper and background images in the द लॉर्ड ऑफ द रिंग्स club tagged: the lord of the rings two towers the return of the king rohan edoras king. This द लॉर्ड ऑफ द रिंग्स wallpaper contains lippizan, lipizzan, lippizaner, लिपिज़न, लिपिज़ेन, and लिपिज़नेर. There might also be घोड़े रैंगलर, रैंगलर, घोड़ा रैंगलर, घोड़े की राह, घोड़े का निशान, घोड़ा ट्रेल, surcoat, and सुरकोट.